Vietnamese/Australian Rap/EDM/Hip Hop recording artist & producer, Bigg, began creating music in 2006. Bigg was born in Ha Noi; a place where Rap & Hip Hop is scarcely known. At the age of ten his father played an Eminem CD in the car, leaving the young aspiring artist hooked and he eventually began researching more into the prospective genre. Bigg began teaching himself to make beats at the age of 12 and learnt the English language through lyrics from some of his favorite songs. Since then he had released 1 debut album, 2 EPS and other single, totaled over 60 tracks. Bigg has no trouble drawing in a crowd, recently packing out popular Oxford St bar, Ching-A-Ling’s, with his first originals show — impressing audiences with his high energy performance and impeccable flow, making waves in the Hip-Hop community. 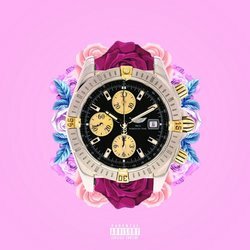 “Worth My Time” is the first single taken out from Bigg’s next R&B project. The idea behind the song was inspired by the artist's previous relationship that made him feel unappreciated. "Worth My Time" incorporated a bass-heavy Trap production with melodic R&B vibes, while still having storytelling elements in it, exhibiting a new direction for the artist.